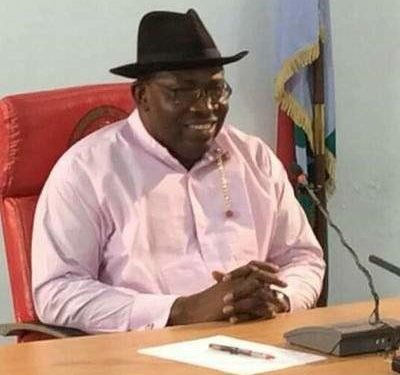 Bayelsa State Governor, Honorable Henry Seriake Dickson, has called on all Nigerians to work together irrespective of tribe, religion or political affiliation to make Nigeria great again. Governor Dickson, who stated this in Atlanta at a dinner in his honour by Nigeria’s Consulate-General in America, Ambassador Kayode Laro, said Nigeria is a great country with great opportunities and outstanding people but has challenges like every other country, which are however surmountable. The governor, who is on a working visit to the United States, said Nigerians have a common duty to work together in order to build a stable and prosperous nation. He stated that in 2015, the country recorded a major political feat where a sitting President of a ruling party graciously handed over power to an opposition party without rancour and bloodshed, which was widely acclaimed and celebrated globally. “This peaceful transition was a first by any African country and incidentally Ghana followed suit shortly afterwards. Nigeria plays a strategic role Nigeria in Africa and the world today. So, for Africa to rise again, Nigeria too must rise again,” he said. Dickson charged Nigerians to continue to pray for the country as it approaches another general election in 2019. He noted that a biting recession has gripped the country in the past three years, stating that despite these challenges, his administration has been able to put in place the most ambitious and best public schools’ project in the country today as well as an outstanding healthcare infrastructure across the state. Dickson explained that on assumption of office in 2012, he realised that Bayelsa had no public boarding school and the educational facilities in the state were in shambles. “This prompted me to declare a state of emergency on education and today my administration has built and equipped 15 model boarding schools across the state. “We are building wonderful schools across the state to take care of our dynamic students in our state. Today we have free boarding facilities, free tuition, free books, free uniforms and even free feeding at these schools,” he said. The governor told the gathering that the flagship school, the Ijaw National Academy, which was recently commissioned by former Head of State, General Yakubu Gowon, which also hosted the Nobel Laureate, Prof. Wole Soyinka, Prof. John Pepper Clark , Prof. Ebiegberi Alagoa among other outstanding scholars, is a 1000-capacity school programmed to produce world class scholars. He added that the newly built University of Africa in the state already has 500 students with world class facilities and staff primed to deliver quality education. Dickson told the excited audience that as a result of his educational revolution and the massive investment his administration has embarked upon, Bayelsa which ranked at the bottom in the educational index of states in the country in 2012 now ranks fifth in WAEC and third in NECO examinations. The governor further stated that world class healthcare facilities and hospitals have been built by his administration in each local government area of the state. “Every local government area in the state has an 80-bed newly built health facility to provide basic heathcare to all citizens of the state and supported by a newly built and fully equipped state-of-the-art diagnostic centre and specialist hospital in Yenagoa,” he said. He called on Bayelsans and all Nigerians of goodwill at home and abroad to support the massive investments in health and education by donating books, computers, hospital equipment, drugs and even qualified manpower to complement his government’s effort at providing quality healthcare and education in the state. The governor thanked his host and his family for the warm hospitality accorded him and his delegation in Atlanta. In his remarks, Amb. Laro expressed appreciation to Governor Dickson for taking time out of his busy working schedule to honour the invitation. He stated that Nigerians at home and abroad have heard about the good works of the governor and urged him to do more for his state and for the country. He stated that his Consulate is open to him and all Nigerians whenever they visit America. A press statement signed by the Governor’s Chief Press Secretary, Francis Ottah Agbo said the event was attended by prominent Nigerians in Atlanta including Senator Ademola Adeleke, HRH Shola Ankinrimisi (the Oriade of Georgia), executives of Nigerians in Diaspora Organisation (NIDO) in Atlanta led by their president, Dr Victor Ubani, Mr Kese Jabari and key staff of the consulate among other dignitaries.